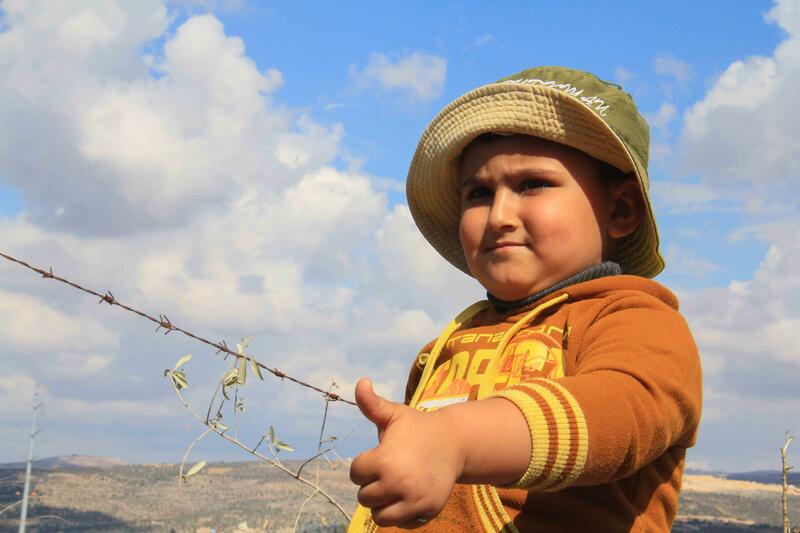 Little Mohammed has gone to the field this morning with his father Amjad and two IWPS activist-volunteers to harvest olives. The sun is bright and the air is fresh. Amjad is working hard and fast to pick olives from his trees, which haven’t been harvested for the last two years. 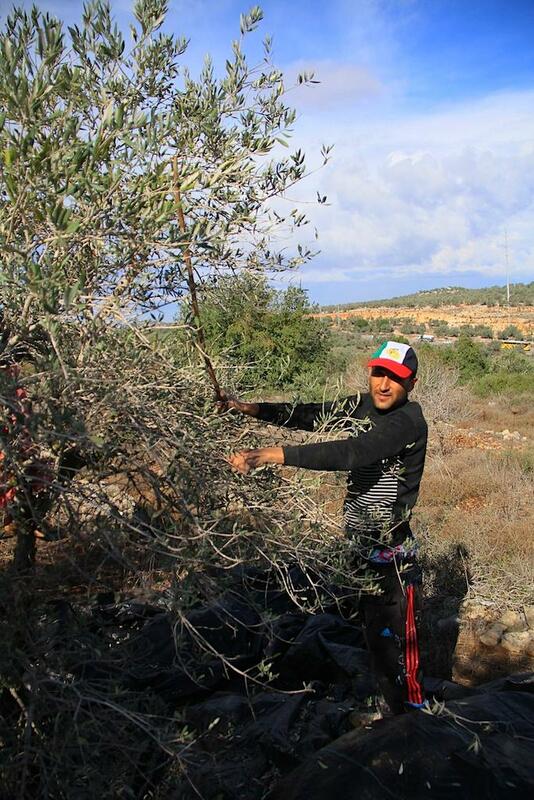 Indeed last year, at the beginning of the season, he went with his mother and other family members to start collecting olives but less than an hour into work settlers living in the Ariel settlement, located at the edge of his land, shot at them using machine-guns. The settlers were yelling angrily, ordering them to leave or else they would be killed. Amjad and his family never came back that season. 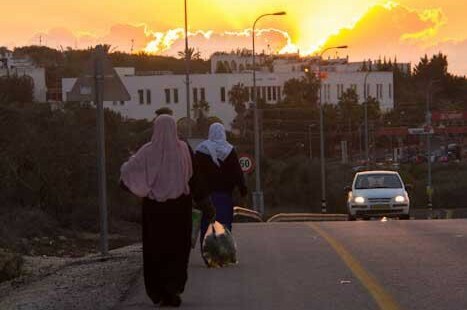 Ariel settlement was established in 1978 and now reaches a population of more than 18,000 people. 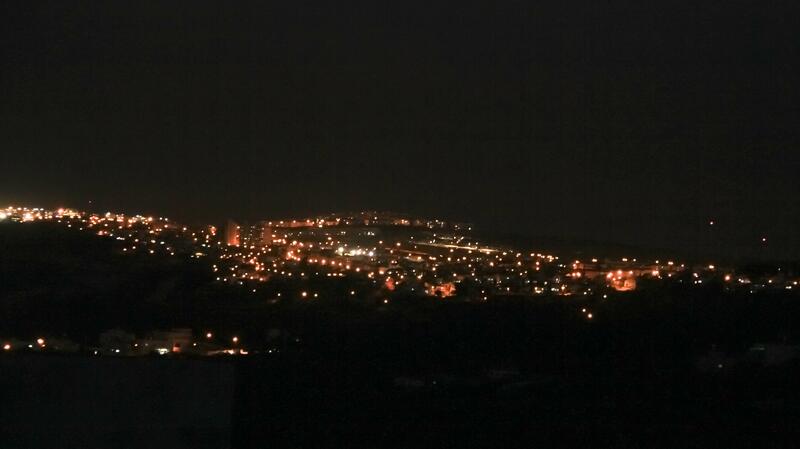 Resembling a major city, it includes a University and modern facilities. Recently a big hotel was built near its entrance. This settlement, that stretches over 2 kilometers, is built on Palestinian land. 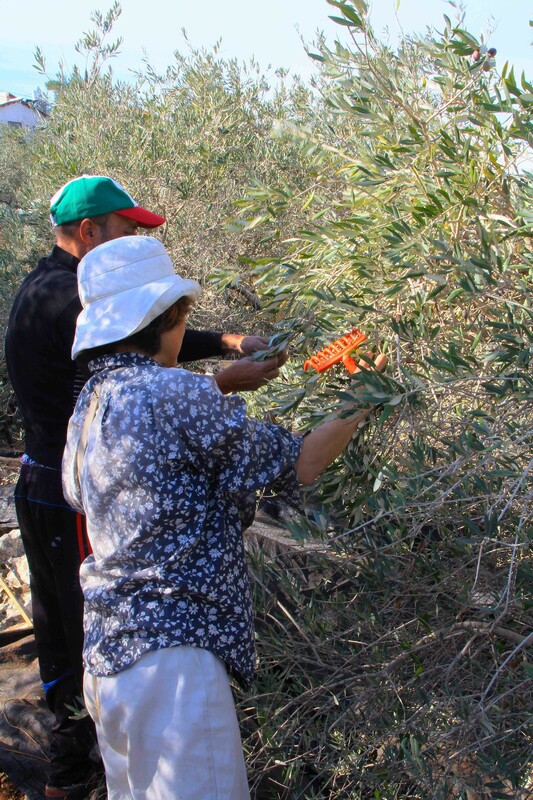 Consequently, olive plantations of numerous farmers have been dramatically reduced, split into two or are now unreachable due to the continuous expansion of this settlement. 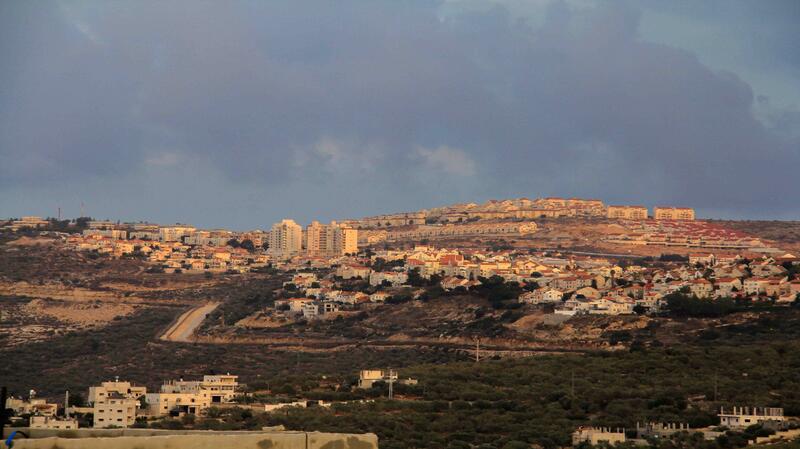 Partial View of Ariel Settlement from Salfit area. Amjad has lost dozens of trees due to the construction of the road and fence that were built five years ago on his land. 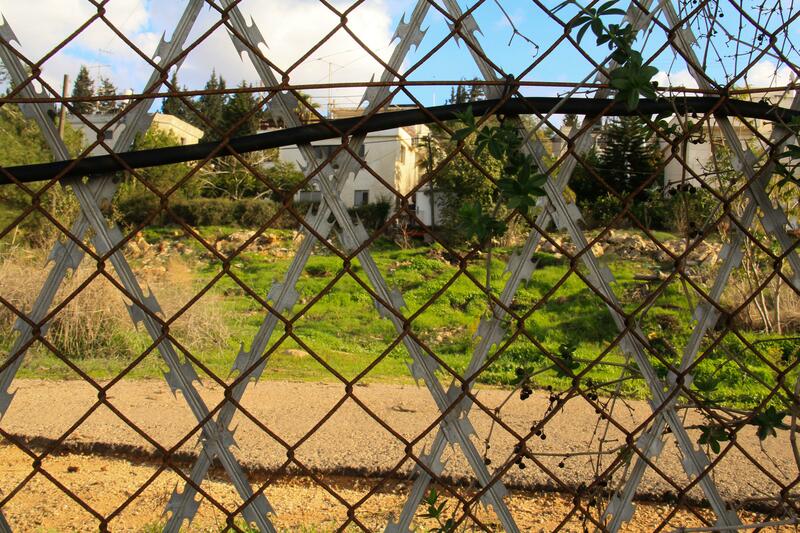 The fence separates the plantation from the settlers’ houses and the road is for exclusive use by the settlers. 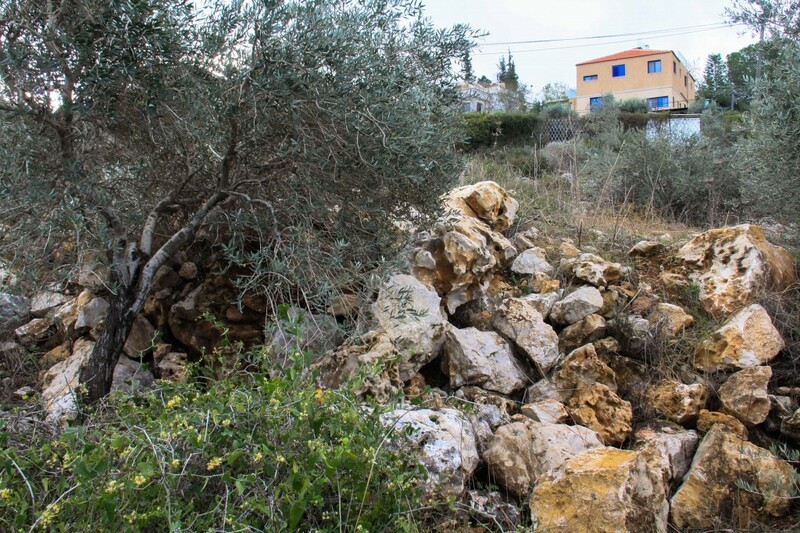 When building that road, huge rocks were excavated and thrown on Amjad’s plantation making it extremely difficult for him to harvest the trees. Despite this illegal occupation and cruel treatment from settlers and Israeli armed forces towards him and his family, Amjad is resilient and stays optimistic that one day he will get his land back. 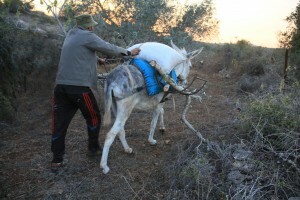 Taking care of what’s left of his land is an act of resistance. Little Mohammed climbs the ladder and in the middle of his ascent stops. Amjad asks him: “Hey son, why did you stop climbing?”, Mohammed says: “ I am afraid that the settlers might see me. ” Amjad replied: “ Don’t be afraid, son, keep on climbing. ” Little Mohammed doesn’t listen to his father and instead goes down the ladder and sits on Amjad’s lap. The day goes on without incident. The air is still fresh and the sun slowly goes down. Birds are singing and looking for food and a gentle wind blows through the leaves. 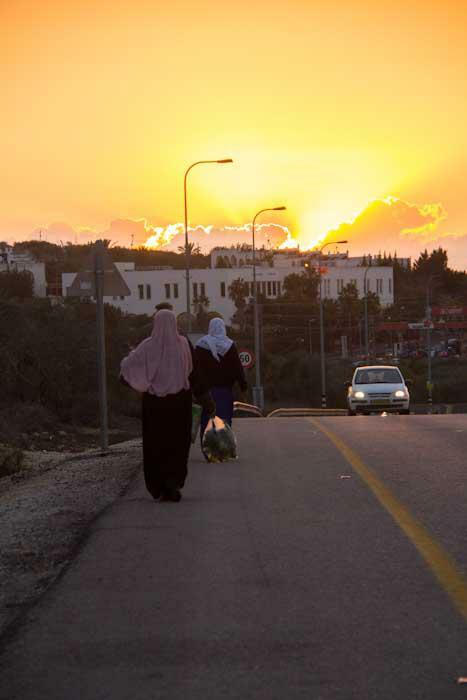 Amjad and His Family Members Return Home at the End of the Day, Walking on the Highway that Splits His Land, While a Spectacular Sunset Descends New Hotel Built at the Entrance of Ariel Settlement.